In the 1930s, Bexhill council was looking for ways to attract more visitors to the East Sussex seaside resort. The town’s mayor, Herbrand Sackville – who was also the 9th Earl De La Warr – came up with the idea of a new landmark public building to pull in the crowds. Sackville suggested running a competition to create a seafront pavilion in the ‘New International’ or ‘Modernist’ style. Modernism was a type of architecture that used new technologies of construction - especially glass, steel and reinforced concrete. The council liked Sackville’s idea and announced the contest in the February 1934 edition of the Architects Journal. The rules stipulated the new building should have an entertainment hall to take at least 1,500 people, a 200-seat restaurant, a reading room and a lounge. The competition attracted 200 entries. The winners were architects Erich Mendelsohn and Serge Chermayeff. Russian-born Chermayeff had moved to Britain as a child. Mendelsohn had recently arrived in the country as a refugee from Nazi Germany. With a streamlined, industrially-influenced exterior and large, metal-framed windows, the new pavilion was a pioneer in both design and construction. 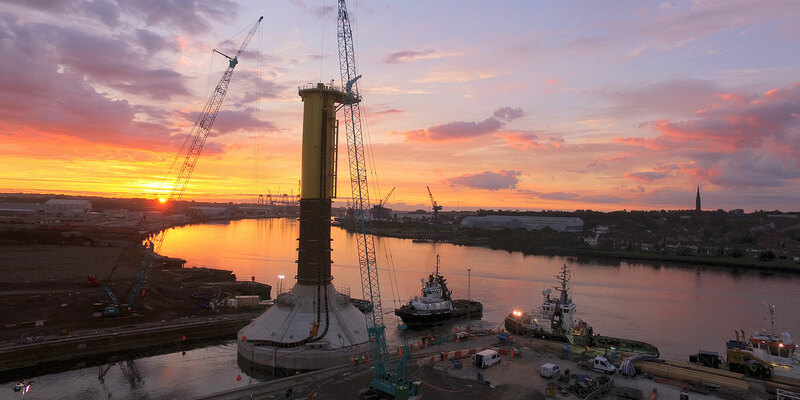 As well as being mostly built from concrete, it was the first public building in Britain to use a welded steel frame. Although popular, the pavilion wasn’t always well-maintained – it was quite rundown by the 1970s. Its fortunes changed when it was made a Grade 1 listed building in 1986. Local campaigning in the 1990s brought a £6m grant from the National Lottery. The structure underwent a major restoration – reopening in 2005 as an arts centre. Bob Barton (Barton Engineers) talks to us from outside the De La Warr Pavilion which was built in 1955. The pavilion was the brainchild of De La Warr, a socialist and Chair of the Labour Party, who wanted to create a place of entertainment that would improve the lives of the local people. 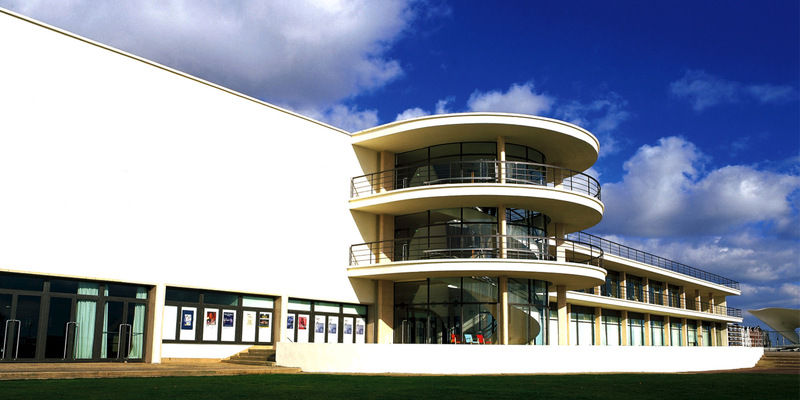 The De La Warr Pavilion was a successful public building for many years after it opened. It brought tourists to Bexhill, helping boost the local economy. Although it wasn’t always well looked after – by the eighties it was being used for indoor car boot sales – the pavilion has been a venue for public events for much of its history. The 2005 restoration relaunched the pavilion as an arts centre with one of the largest galleries on the south coast – bringing income to the town. Although it wasn’t Britain’s first Modernist building – that was Hornsey Town Hall in London – the De La Warr Pavilion is now considered a masterpiece of the style. The pavilion’s structure was based on a welded steel frame designed by engineer Felix Samuely. Steel frames were an idea from Germany. Other structural features included lattice steel beams – allowing a traditional-looking roof to be used for the concert hall. Engineers used natural light in the pavilion wherever possible - surfaces were designed to let in the maximum light or reflect it. The windows were tall, walls were white, and the floors were polished and reflective. The project team also gave the building’s sweeping circular staircase a cylindrical glass enclosure to let in natural light. One of the great carefree moments of 1930s architecture, offering sheer pleasure in movement and light. The De La Warr Pavilion was taken over by the army during World War 2 to defend against a possible cross-channel invasion by German forces. Although German generals did consider a seaborne invasion – codenamed Operation Sealion – its chances of success were poor and the plan was dropped. One of the soldiers who served at the pavilion during the war was Spike Milligan – later famous as a comedian, writer and creator of the groundbreaking radio comedy series ‘The Goon Show’.